Volunteering offers a good way to get involved and make a difference for a cause that is important to you. It can also broaden your networks, validate your interests while acquiring work experience that can bring references by new local contacts. 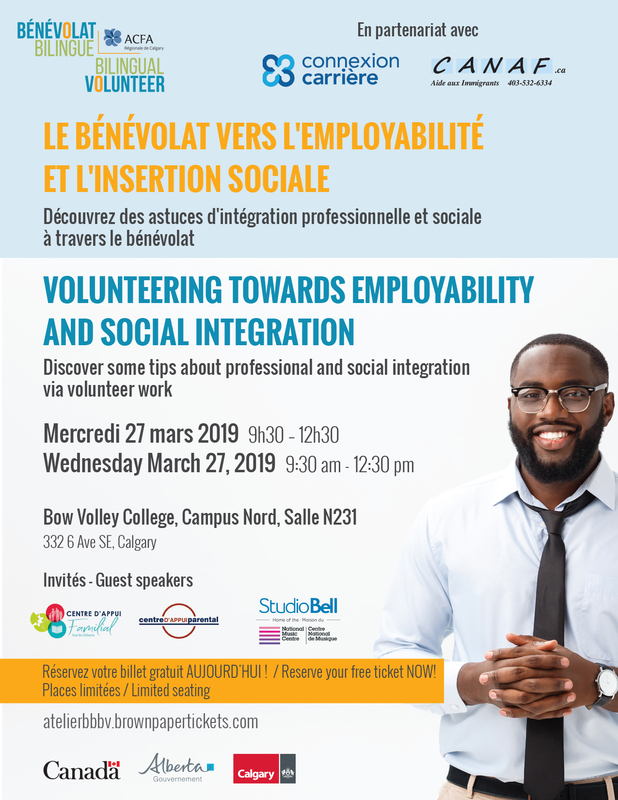 This workshop will discuss volunteerism as a tactical and strategic tool to integrate the labor market and ensure success in your (re) professional and social integration in Calgary. Our stakeholders will share their experiences as volunteers and employers, tips for finding and creating volunteer experiences that will benefit you and the organization that welcomes you. Finally, you will discover the tools available to identify opportunities to volunteer and develop your skills.